CMV is the most common type of virus that infects those who are HIV positive. It affects the eye in about 30% of the cases by causing damage to the macula. 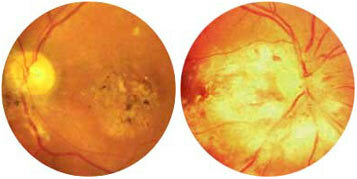 This is called CMV retinitis. The likelihood of developing CMV retinitis increases as the CD4 cell count decreases. CMV retinitis may affect one eye at first, but usually progresses to both eyes and becomes worse as the patient's ability to fight infection decreases. The virus is sight threatening and usually requires the care and treatment of a vitreo-retinal surgeon. 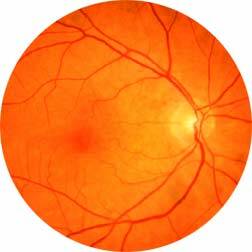 Patients with CMV retinitis are at risk of retinal detachment, hemorrhages, and inflammation of the retina that can lead to permanent loss of vision and even blindness.